In today’s fast paced world, we need convenience to keep our sanity. 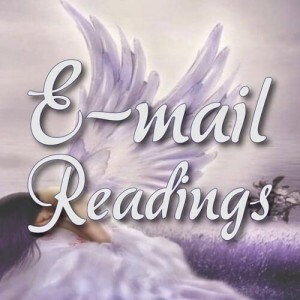 Getting an email reading from psychic is the height of convenience when we want to receive ideas, advice and clarity. A psychic meeting can also help with healing and support. Most psychics are passionate about their calling to help others find answers to their questions. It is not uncommon for a client to want get their readings in an email. This type of reading allows a client to access the reading from anywhere at anytime, plus it gives them a chance to process the information on their own timeframe. Email is also a good medium to get counseling and mentoring for relationships and spiritual matters. The information given means you can make better choices. When you are contacting an email psychic, you should be a specific as possible when answering questions. This will help you get the most detailed reading possible. For example, if you have questions bout your marriage, you should ask something like, “Where you see my marriage going?” Providing names and birthdates will improve accuracy. When asking about your career. you should give specifics such as your job title and company name. If you are having issues with a co-worker, give their name and situation. If you are wondering why you should be so specific when consulting with psychic via email, remember that you are consulting a psychic, not a mind reader. The specifications can help put your psychic in tune with the right information. It will be helpful to send a picture since the psychic can get energy and information about you. Psychics go through training to develop their gifts. They can read someone on a variety of levels including emotional, mental and spiritual. Your psychic will encourage you to look inside yourself to help give you advice and guidance as well as direction. Providing them with as much information as possible will help them read you and give you the best advice. It is important to remember that it is up to you to make the final decisions about your future.